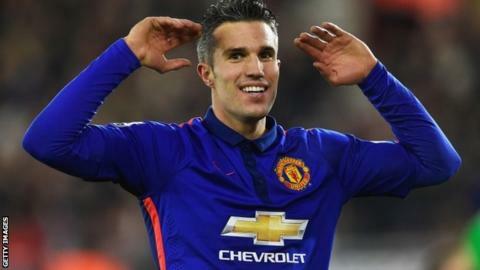 Robin van Persie believes he will play football for many years to come. After a slow start to the season, the Manchester United forward has scored three times in as many games. He scored both goals in the 2-1 win at Southampton and, before Sunday's encounter with Liverpool, the 31-year-old feels there is plenty to come. "The age thing is not an issue for me at all," he told MUTV. "I'm almost convinced now I will play for many years to come at the highest level." "It is a strange feeling. When you hit 30 and you're having a bad spell everyone says it's because you're 30 or 31 and things might be over for you." The return of Phil Jones and Rafael from hamstring and groin injuries respectively means manager Louis van Gaal now only has four players missing through injury. Chris Smalling is out for two weeks with the groin problem that forced him off at Southampton, while Angel Di Maria, Luke Shaw and Daley Blind remain sidelined. United have faced Liverpool already under their current manager, lifting the pre-season International Champions Cup with a 3-1 win in Detroit. And they are favourites to claim another win at Old Trafford after Liverpool's disappointing campaign continued with their exit from the Champions League on Tuesday. "Liverpool were a little bit unlucky in their last matches," Van Gaal said. "You have to survive that, you have to manage that. "The Premier League is not so easy. I also have the experience because every game we have to play against clubs at the bottom of the league is very difficult."